Meet some of the generous supporters who are helping us transform lives by restoring, expanding and innovating music education in our schools. 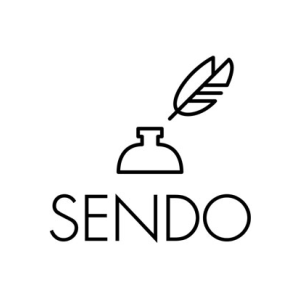 Partner with us! Learn more about joining the band / supporters. Niagara strongly believes in team work and is committed to making a positive difference in the communities in which we live. Niagara will keep our Denver, Dallas, Houston and Atlanta programs rockin’, as well as adding modern band into Aurora, CO and Ontario & Rialto, CA for a total of 150 schools launching Modern Band! The Hot Topic Foundation aims to inspire and encourage young people to express their individuality through music and the arts. In two years their round up campaign has raised over $1 million dollars, impacting the lives of more than 30,000 students! Bohemian Foundation is committed to the care and enrichment of their local, national, and global communities. Bohemian has helped us in many ways such as, bringing Modern Band to the Poudre School District in Fort Collins, CO, making the four-day Modern Band Rockfest conference possible for hundreds of teachers nationwide, and supporting our Amp Up NYC and Music Expanded Chicago initiatives! Salesforce leverages its technology, people, and resources to help improve communities around the world and create a culture of caring. Their annual Dreamforce conference has fundraised and provided performance opportunites for our students across the country! The Hearst Foundations identify and fund outstanding nonprofits to ensure that people of all backgrounds in the United States have the opportunity to build healthy, productive and inspiring lives. Hearst has helped us expand our Amp Up NYC initiative and reach hundreds of students in New York! The Les Paul Foundation inspires innovative and creative thinking by sharing the legacy of Les Paul through support of music education, recording, innovation and medical research related to hearing. Les Paul Foundation has helped us create links to Les Paul educational resources on our JamZone! Yahoo Employee Foundation empowers their employees to fund causes they care about. Yahoo! has been an great supporter of our California classrooms allowing us to expand in the San Francisco Bay and Los Angeles areas! The NAMM Foundation advances active participation in music making across the lifespan by supporting scientific research, philanthropic giving and public service programs. A longtime supporter, the NAMM Foundation has been instrumental in expanding Little Kids Rock's impact to reach more than 300,000 public school students in more than 130 public school districts all across the country! Six Flags Friends is a series of programs throughout the Six Flags family of parks that makes a difference in communities by encouraging local involvement, supporting the mission of various non-profit organizations and bringing the thrill of Six Flags to children and families across North America. Six Flags has helped us rock out in Los Angeles! Darden has restaurants in hundreds of communities across North America, and views giving back to those communities as an extension of our core values – and an essential part of being a good neighbor. Support from the Darden Foundation launched 10 Modern Band programs in cities across the country! Music Together connects families and communities across the globe as they express and explore the basic human instinct for making music. With their support, we've launched 10 new schools across America, creating a brand new generation of music makers! Ernie Ball is the world's leading manufacturer of high quality guitar strings and have helped musicians across the world create a unique sound. Ernie Ball strings will be a staple in our classrooms! Epiphone is one of America's oldest instrument makers with a reach across all popular styles of music. With their help, we'll be putting Epiphone guitars in Little Kids Rock schools across America! The Geraldine R. Dodge Foundation supports leadership, innovation, and collaboration for a better New Jersey. Support from Dodge Foundation has helped expand programming across the state; currently serving more than 20,000 students in more than 100 classrooms! SpreadMusicNow is committed to funding music programs that foster continual learning and that put students on a clear path to college, career, and life success. SpreadMusicNow is helping us bring Modern Band to every student in the state of Connecticut! Sweetwater Sound has been supporting our work, and has been instrumental to Little Kids Rock’s expansion of music education. Assisted by Sweetwater Sound, Little Kids Rock is able to continue its efforts and make a meaningful impact for the public school teachers and students we work with. Through Sweetwater Sound’s fundraising initiatives and its willingness to provide musical instruments at a discount, Sweetwater Sound has helped bring music into more kids’ lives. State Farm is committed to maintaining the vibrancy of our communities by assisting nonprofits that support community revitalization. Through its Help Life Go Right campaign, State Farm helped raise awareness of the importance of music education in our schools and donated hundreds of instruments for use in classrooms across the country! The Horace W. Goldsmith foundation is a great supporter of the arts and education in California, New York and Pennsylvania. Goldsmith has helped us rock in the San Fransciso Bay Area! Suport from the Wildfower Foundation launched our Miami program reaching over 15,000 students! The Brighton brand was founded by Jerry and Terri Kohl, who envisioned a different kind of company that would be built from the heart - focused on treating our customers and employees the way they love to be treated. Brighton has improved the lives of students in Los Angeles, Tampa, Chicago, Dallas, San Francisco, Miami, Pasadena, Houston, Nashville, Atlanta, Newark and New York City by providing over 3,000 guitars! EcoMedia has a vision to harness the power of advertising and channel it into tangible social change. Through their support, EcoMedia has brought Little Kids Rock unique partnership opportunities serving more than 21,000 students across Los Angeles, CA, and Hartford, CT, with more cities to come! Jack in the Box is dedicated to making a positive difference in the communities in which their employees, franchisees and guests work and live. Jack in the Box has helped us expand our programs in Los Angeles, Dallas, and San Francisco and is helping us bring modern band to Sacramento and Seattle for the very first time! Moe's Southwest Grill aims to provide a one-of-a-kind experience that energizes everyone with an enthusiastic welcome, exceptional service, awesome food, killer tunes and an unforgettable time. Together, Moe's and Little Kids Rock will launch new Modern Band programs in suburban and rural school districts close to Moe's restaurants all across the country! The LEGO Foundation believes strongly that play helps children develop the intellectual, emotional, social and creative skills that are of lifelong benefit to them and their communities. LEGO is helping us launch new programs in schools throughout Connecticut, positioning Modern Band to become a statewide initiative for the State of Connecticut! HARMAN delivers the best in sound in the studio and on the stage, at home and on the go. With their support and expert audio technology, we launched our Jamzone with lessons, chord charts and helpful tools to inspire music making! 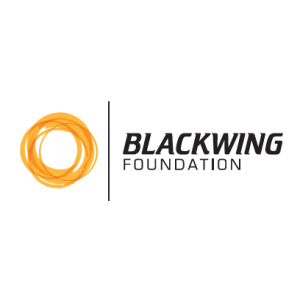 The Blackwing Foundation's mission is to develop and support innovative partnerships that have a sustainable, positive impact on arts and music participation and learning in the classroom. To that end, they have helped expand adoption of Modern Band in Northern California’s Central Valley Region, supporting both the K-12 space as well as aspiring music educators at the university level. 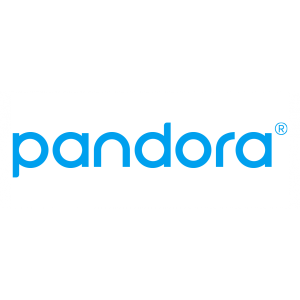 Pandora is the world’s most powerful music discovery platform and they are devoted to helping kids receive access to the transformational gift of music. Thanks to a generous donation, teachers from twenty Oakland-area schools received the resources and training to launch Modern Band music programs that reach 2,000 Oakland students. Pandora has also sent artists to schools, volunteers to events, and promoted Little Kids Rock on their mobile and web advertisements. 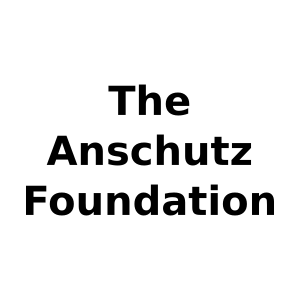 The Anschutz Foundation helped us launch our program in Denver, impacting the lives of more than 7,400 students to date, and positioning Modern Band to become a statewide initiative for the State of Colorado!